"HOME IS WHERE THE ART IS!" Patricia Emmett's home for now is Tulsa, and the subject of her art has been greatly influenced by the many years she spent as a dancer, choreographer, and teacher of both modern and classical ballet. 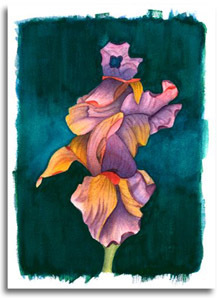 Patricia studied watercolor and oil privately with Kelley Vandiver. 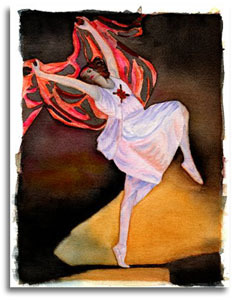 Her subjects, painted mostly in watercolor, include dancers, botanicals, portraits, and the "body in space and motion". Painting has given her the freedom to express the vivid images and bright colors that have always had an impact on her life. She is a regular annual participant of both TAC Gallery's 5 x 5 exhibit and Philbrook's Festival of Trees. 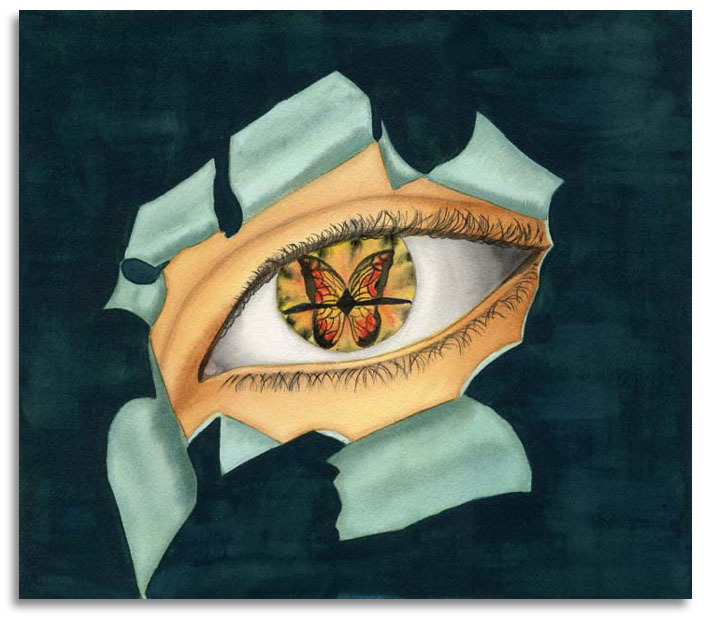 Patricia's paintings are in private collections throughout the South, Southwest, West, and Midwest. 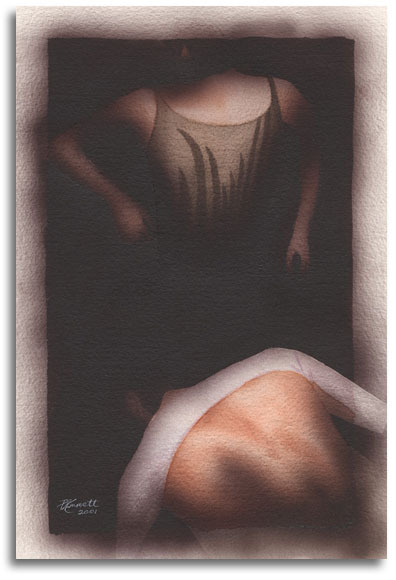 She has exhibited at Tulsa's juried Mayfest Invitational Gallery, The Artist''s Gallery at Barnes & Nobles, Art in the Square, and Chamber of Fine Arts.